Cllr Peter John was joined by local residents, councillors, council officers and members of the design and construction team to celebrate the topping out of Marklake Court (formerly known as Kipling Estate Garages). Marklake Court is currently under construction and is on schedule to deliver 27 new genuinely affordable flats for local residents in May. 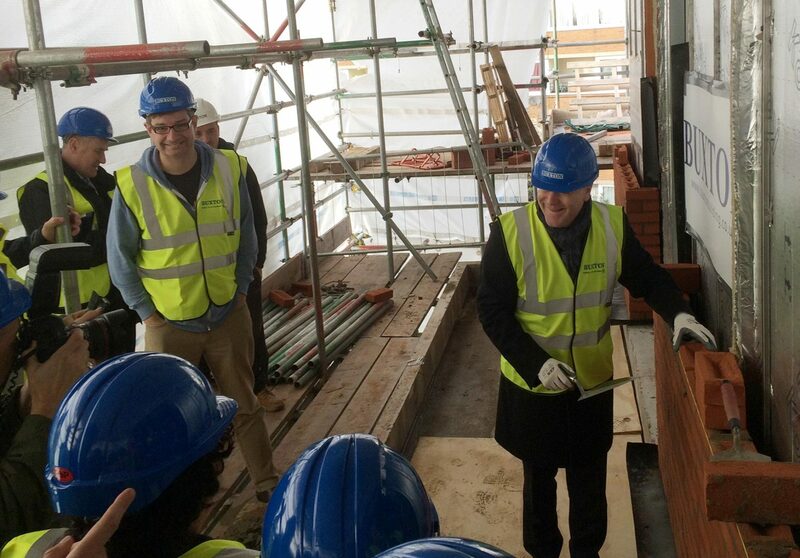 Cllr Peter John, leader of Southwark Council, laid a ceremonial brick to celebrate the occasion and together with John Paul Maytum, Director of Leathermarket CBS, praised the partnership between Southwark and the local community in delivering community-led, affordable homes for local people.